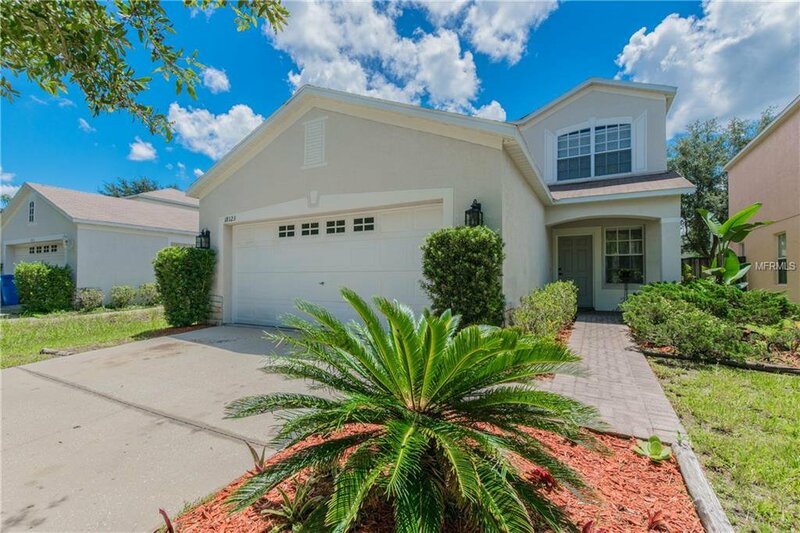 Wonderful opportunity to own a well maintained two story home with oversized backyard in New Tampa. Along with fresh interior paint, newly installed carpet and a newly tiled kitchen, this home features 4 bedrooms, 2 bathrooms, 1,754 sq. ft., large loft/bonus room upstairs, and a downstairs master bedroom complete with en suite master bathroom. Laminate floors throughout the first floor, brand new wide plank porcelain tile in the kitchen, and brand new carpet on the second floor. Walk out back to your oversized screened in lanai perfect for grilling out and entertaining friends and family, or walk down the street to the neighborhood park. Extremely low HOA dues and No CDD fees. This home is located ideally to grocery stores, restaurants, entertainment, I-75 and more. This property is in a Home Partners approved community. Ask how you may qualify for Home Partners of America. Listing courtesy of COLDWELL BANKER RESIDENTIAL. Selling Office: MAVREALTY.